Kathryn showed an excellent performance bringing home 4 new personal bests. She improved her open event scores significantly and just missed a senior national standard by 1.5 points!! That’s a huge accomplishment for a 13 year old. 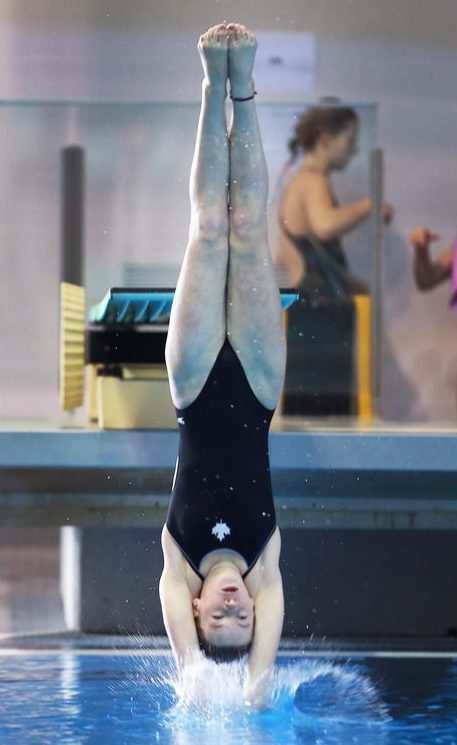 Her open events she finished with a SILVER MEDAL on open tower and a BRONZE MEDAL on open 1m against divers of all ages from across the province. Her age group categories she finished with a GOLD MEDAL on tower, SILVER MEDAL on 3m and showed why she is the reigning national champion on 1m. Another GOLD MEDAL on the 1m event with a new personal best of 307! Congratulations Kathryn! Now to get ready for Texas All Star next week to represent Canada next week! 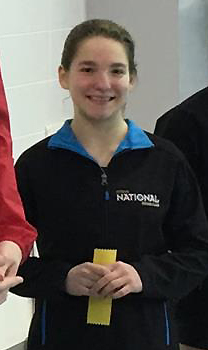 Talia also had a great weekend bringing home her first ever national score on her 1m event. She is also now FULLY QUALIFIED on tower for her first time ever!! She also competed 1m open and 3m open for her first time to give her a taste of really tough competition. Consistency is key in open and Talia more than accomplished that for her first time in these events. She finished her weekend with a 4th place on tower, 5th place on 3m and 4th place on 1m. Congratulations Talia! So excited for your first national this summer!